NASHVILLE, TN (July 7, 2014) – After revealing the release of their new single “Dirt” via their social networks, superstar duo Florida Georgia Line will debut the highly anticipated song on The Tonight Show Starring Jimmy Fallon tomorrow, Tuesday (7/8) at 11:35P ET/ 10:35P CT. FGL will also perform “Dirt” on LIVE! with Kelly & Michael this Wednesday (7/9), along with the PLATINUM-certified smash “This Is How We Roll” (featuring Luke Bryan), whose recently released remix also features Jason Derulo. “Dirt” will hit Country radio airwaves nationwide this week and is available at all digital retailers beginning tomorrow (7/8). The song is the lead single from their sophomore album produced by Joey Moi. The new Republic Nashville project is slated for release this fall and is the follow-up to their 2X Platinum debut HERE’S TO THE GOOD TIMES, which has tallied over 14.9 million tracks sold worldwide. Previously taking home ACA, AMA, ACM, Billboard, CMA and CMT Music Awards, FGL scored a TEEN CHOICE Awards nomination for Choice Country Group. Fans ages 13-19 can vote once a day via teenchoiceawards.com, with results airing August 10 at 8P ET on FOX. 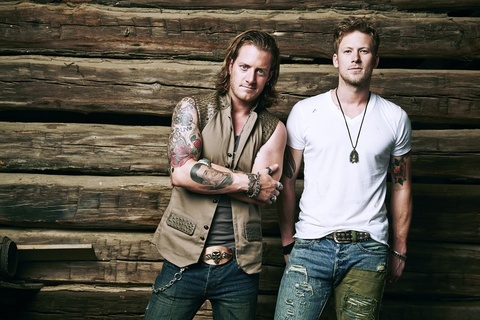 FGL has skyrocketed since releasing four consecutive, multi-week #1 smashes in the US and Canada with the PLATINUM-certified hits “Stay,” “Get Your Shine On,” “Round Here” and MULTI-PLATINUM “Cruise,” making them the only artist in history to join Brooks & Dunn in achieving this accolade. Breaking the record for longest #1 on Billboard’s Hot Country Songs Chart, “Cruise” has sold over 7 million downloads and is the best-selling digital Country single of all time (SoundScan). FGL is currently on the road as direct support for Jason Aldean’s BURN IT DOWN Tour and this November will host “This is How We Cruise” aboard the Norwegian Pearl. For tour dates and more, check out FloridaGeorgiaLine.com.